Helen J. Miller 80 of Clinton, Illinois passed away 1:52 PM, December 9, 2017, at the Warner Hospital & Health Services, Clinton, Il. Services will be at 11:30 am Saturday, December 16, 2017, at the Calvert Funeral Home, Clinton, Il. with J. Kent Hickerson officiating. Burial will follow at Mausoleum Park Cemetery, Clinton, Il. Visitation will be immediately prior to the funeral from 9:00-11:30 am, December 16, 2017, at the funeral home. Helen was born September 20, 1937, in Clinton, the daughter of Raymond E. and Opal D. (Atteberry) Wagner. She married Merle S. Miller December 12, 1959, in Clinton, Il. He passed away December 13, 2014. Survivors include her 3 sons, Brett (Jill) Miller, Clearwater FL; Bart Miller, Albany, NY; Brad (Janeen) Miller, Fort Wayne, IN; 4 Grandchildren, Brianna, Ryan, Ashley and Grace; and two sisters, Wanda (Jack) Schroeder, Rockford, IL and Dorotha (Tom) Duggan, Sequim, WA. Helen was a professional homemaker who loved to cook. Her chocolate sheet cakes were a sought-after treat from a long list of friends at holiday times. She was a member of the First Christian Church, the Clinton Country Club and the Benevolent Protective Order of the Elks. As a young woman, Helen worked as a telephone switchboard operator in Clinton where she had a reputation for being the first to catch incoming calls. A little-known fact is that Helen and Merle were great dancers and once won a dance competition while traveling on vacation. 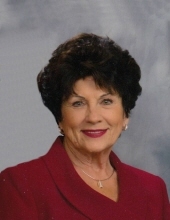 Helen also had a flair for style and served as the Director for the Farmer City Fair Queen Pageant and as an Illinois State Fair Queen Pageant advisor and coach for many years. During the years Merle served as the Director of the Division of Fairs and Horse Racing for the State of Illinois, Helen was always at his side as the true “queen” of the fair.